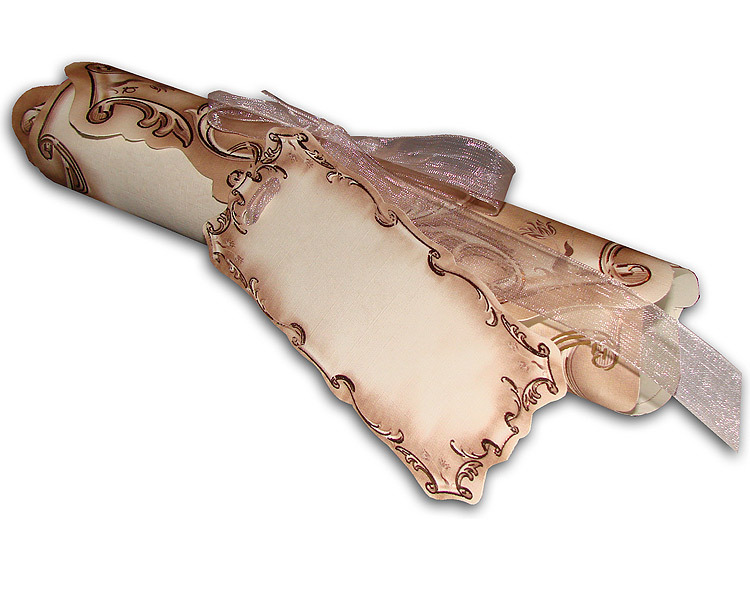 The invitation is in the style of old parchments, decorated with embossing and gilded edges. The paper has a delicate texture and is printed with flowers and leaves in the background. 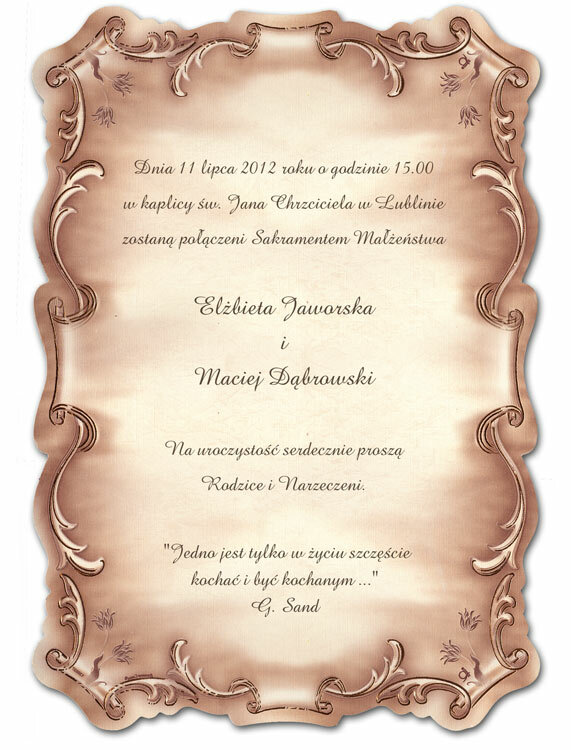 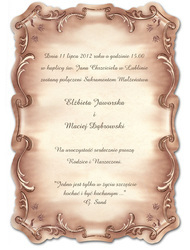 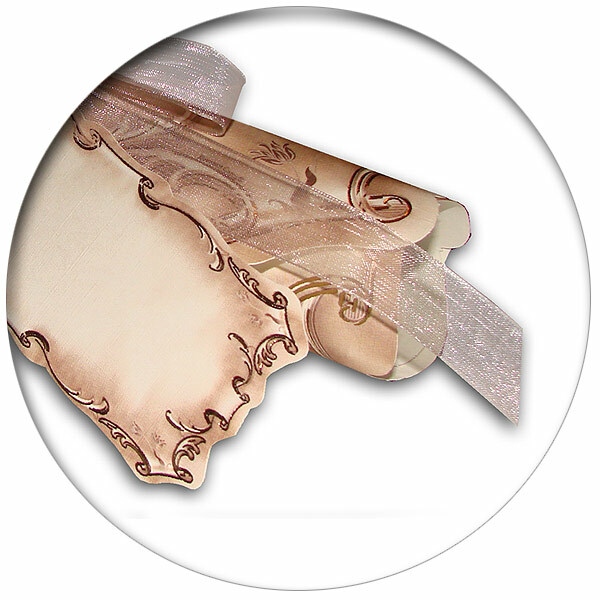 The whole invitation is in the beige and light brown.